ACT Builders provides high-end, custom construction and remodeling services for home owners in the pacific northwest. The ACT team was struggling to boost traffic to the company site. The traffic they did have was not engaging because of the dense and information heavy site. We talked a lot about the idea of leveraging the A.C.T. Builders website as a showroom for their beautiful construction projects. They had a single page design that housed a lot of projects they had worked on, but there was a lot of content—most of it being hard to sift through to find relevant projects. Despite Aaron and his crew doing beautiful work, their photography was also not representing the true quality and craftsmanship of what they were creating. We were tasked with addressing pain points, tearing down the old site and crafting a modern, easy to use website designed that properly showcased the work of this up and coming premium home builder. During our initial discussions with ACT we talked a lot about the idea of leveraging the website as a show room for the quality of their work. It wasn’t feasible for Aaron to drive potential clients to a series of houses they had worked on, but we could capture that in a digital space using a wide open layout and beautiful photography. The pages of the ACT site were designed to provide wide open spaces and lots of room for imagery of their projects. Like a traditional showroom, we wanted prospective clients to be able to get up and close (as much as possible) to the work so they could see the intricate details that ACT takes so much time crafting. 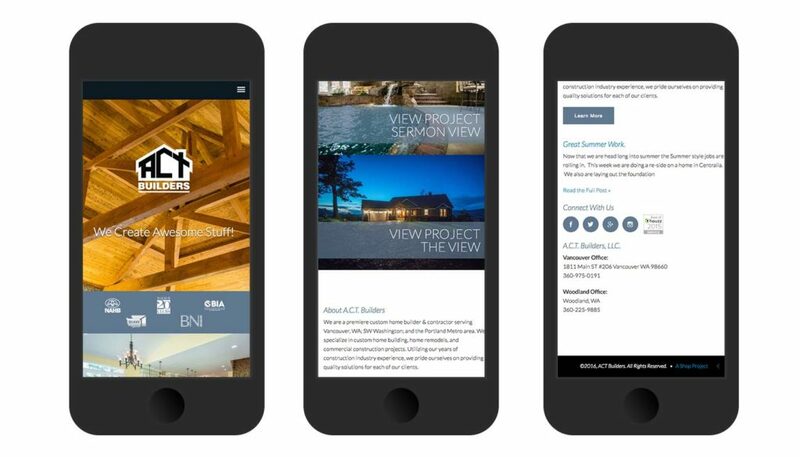 The desktop version of the ACT site uses large project photos providing prospective clients with a close up look at the A.C.T’s amazing work. 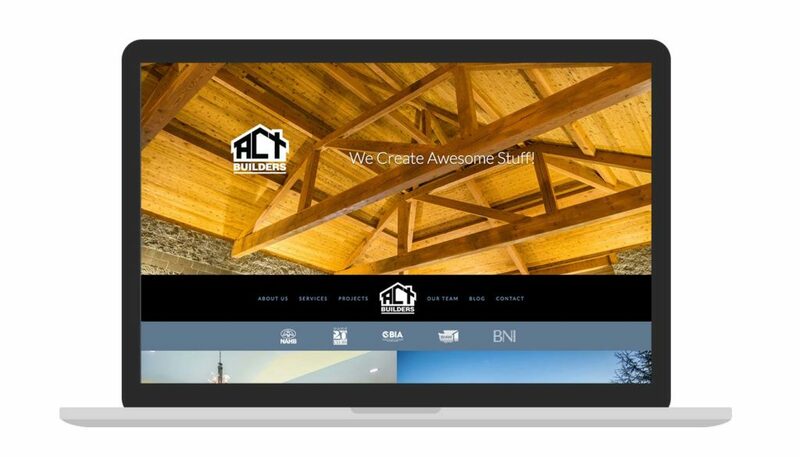 Our goal in creating this webspace was to utilize high-quality, beautiful photography that would showcase the craftsmanship of ACT’s home building and remodeling services. We teamed up with a local photographer to have a series of properties shot for the project section of the website. The resulting photos provided a much needed visual backdrop that perfectly framed these award winning transformations. When scaled down the site utilizes beautiful photography to give users a preview of ACT’s past projects.